This is an idea I came up with a few weeks ago. The idea is to give you my thoughts on the events of WWE Raw. I’ll give my thoughts on what I like and what I don’t like. It can be matches happening, John Cena making fun of Sheamus, etc. I’ll also give some thoughts on some events that could happen at later times, like Triple H maybe being the new GM of Raw. I’ll start doing Smackdown reports at a later time and you can expect the same thing for the Smackdown reports. 24 hours after the WWE Fatal Four Way PPV I was wondering what they are planning to do next and maybe them continuing to attack WWE superstars. Will they be punished at all or will they be let go at free of charge and continuing this madness. Could there be any rematches from last night? Like Eve Torres winning back the Diva’s title or John Cena beating Sheamus. We will find out over the next two hours. Good – Wondering what Vince is doing on Raw. Heard it is about the NXT Guys. Good – Vince blames Bret for his actions against the NXT 7. Glad there is still heat between the two! 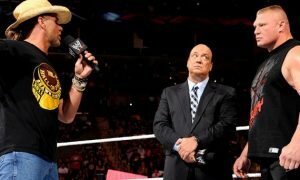 Seems that Vince is siding with NXT for now, but hey it’s against Bret Hart. Bad – Vince firing Bret. I loved watching Bret on TV and you screw it up. There is a new GM! Let’s hope it’s not Michael Cole. But I’m thinking it might be Triple H. Just a random thought. Maybe – Sheamus with the WWE Title. I’d love to see Orton win but with his shoulder I understand why he did not win. The good thing is it’s helping Sheamus develop as a world champion. From what I heard WWE was not happy with Jack Swaggers title reign so maybe they’ll work with Sheamus. Good – Sheamus saying he wished last nights match was fair. He said he can’t accept the title. I’d say the same thing. But of course he keeps it. What a surprise. Bad – Thanking the NXT guys for their actions last night. Bad – Sheamus not being a fighting chance. Maybe – Cena vs Sheamus for the WWE Title. Good – Special guest referee….. Mr. McMahon. Wondering who he’ll side with? Good – Seeing Evan Bourne in action! Sorry Miz but this guy IS AWESOME!!!! Good – the King saying Bourne is a great superstar, but does not want to see Jericho leave. 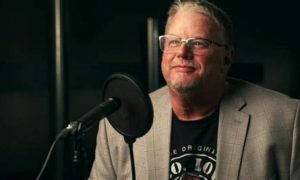 Great point from the best announcer in WWE. Good – GREAT Match…… Jericho staying. Good – Maryse and Ted DiBiase. What are you going to do for protection… I’ll go to the drug store! Maryse is not a great wrestler, but I like the combo. Good – Natayla in action!!!!!!!!!!!!!!!! I missed the NXT prom And Natayla vs Tamina. Sorry! Good – John Morrison in action against…… Ted DiBiase. Bad – DiBiase is not wrestling… replaced with Zack Ryder but can’t say I’m mad about that. Good – Morrison winning. Really want to see him with a title. Good – Cena’s attitude. Vince saying he wants the best man to win. I don’t think it will end that way though. Good – Eve in action!!!!! Bad – Tagging with Great Khali. Good – Eve is improving in the ring. Alicia is not that bad either. 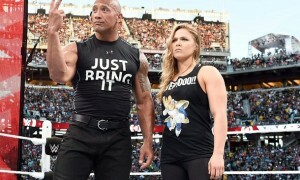 Good – Orton wanting revenge! An idea Orton beating all of the NXT 7 and then facing Wade Barrett, just a storyline idea. Good – Miz coming out, l hope he get’s an RKO….. Please!!!!! Bad – Miz attacking Orton, but it’s a good thing he turned it around. Good – Edge attacks and said there are fun times to come. Good – Old style match introduction, love those! Good – It was a good length match which is always a good thing. Bad – I know it helps advances the storyline but I WANT clean finishes. Good – Once again making the NXT guys bigger and better. Good – Knew Vince would side with them. I knew it! It helps the NXT guys having Vince on their side. They will have a lot of things they want done. Vince ticks Wade off and then he’s attacked. Nothing goes over more then attacking Vince. Good – Hearing Daniel Bryan chants. Don’t know whether he’ll come back, it’s still uncertain. Overall I was happy with this edition of Raw. I feel that the NXT 7 are gaining momentum week by week and attacking Vince definitely will get them some heat and leaving us wondering who is next. Hearing some Daniel Bryan chants leaves some hope that he’ll come back with the company. 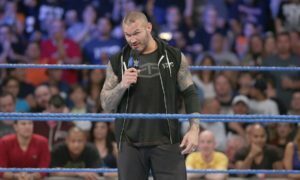 It seems that Edge and Randy Orton will continue to feud which I like, but lets hope Orton does not get hurt in the process. I was surprised that Chris Jericho said if he lost to Evan Bourne he would leave WWE, I’m glad he won this match. My biggest disappointments are that the main event was interrupted by the NXT 7. I know it’s a little thing but I like clean finishes. Who is the mystery GM?